Inspired by a recent trip that B and I took to the fantastic Postal Museum in London (do go – it’s a brilliant day out, especially the Mail Rail ride) I simply had to buy a copy of The Postal Service (from the “People who help us” series) when I recently came across it in a charity shop. It’s a Ladybird series that I normally leave on the shelves when I see it – simply because I have to draw the line somewhere with my collection and my general rule of thumb is to only go for series that had books with matt covers on them. The “People who help us” series was given the number 822 and was published in the early 1980s. I am led to believe the series started in 1982, hence the first two digits of the series number. 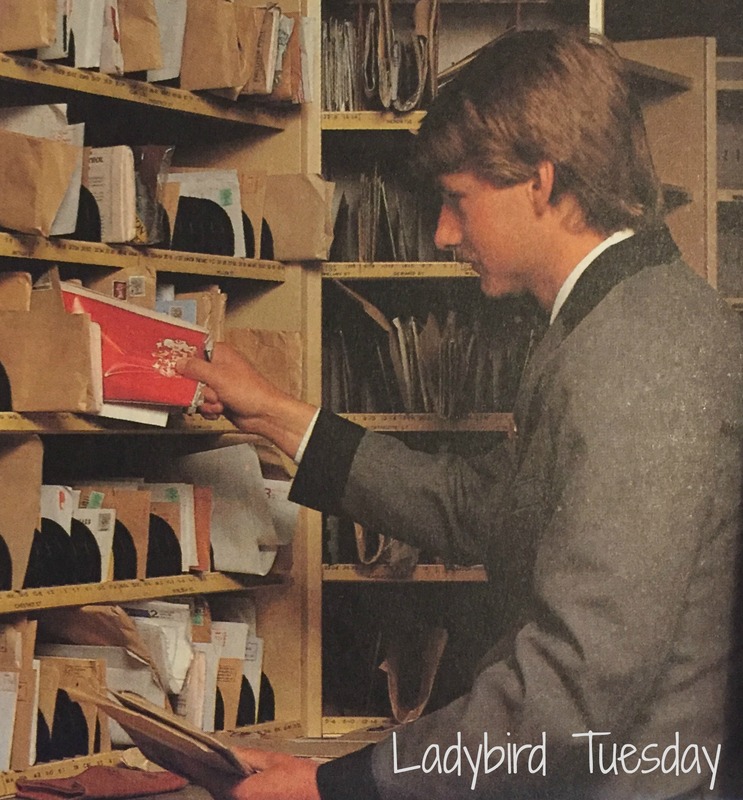 What is not in doubt though is that the series was all released with glossy covers, and it was something of an update to the original People at Work series that I have written about before here on Ladybird Tuesday. What makes this book, and I guess the series as a whole, different from the People at Work series is that it looks at a service, rather than just the role of the people doing a job or role. The equivalent title would have been The Postman (which I annoyingly can’t find my copy of right now) but The Postal Service looks at the whole end to end process of someone posting a letter, and what happens to it for it to reach its destination. Having followed the route of a letter during the interactive exhibitions that were part of the Mail Rail ride at the Postal Museum it was lovely to read through it all again, and to even see the Mail Rail itself featured. 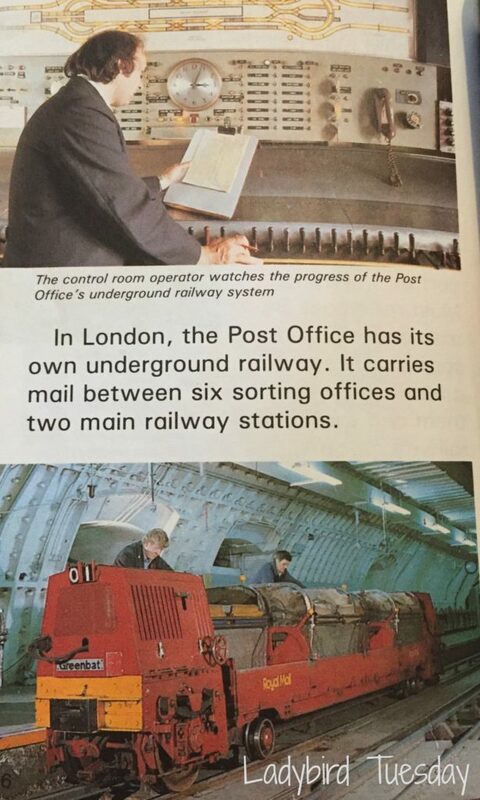 When this book was published back in 1983 it was still a key part off Royal Mail’s infrastructure in London. The Postal Service is a lovely look back at how I remember things as a child of the 80s. 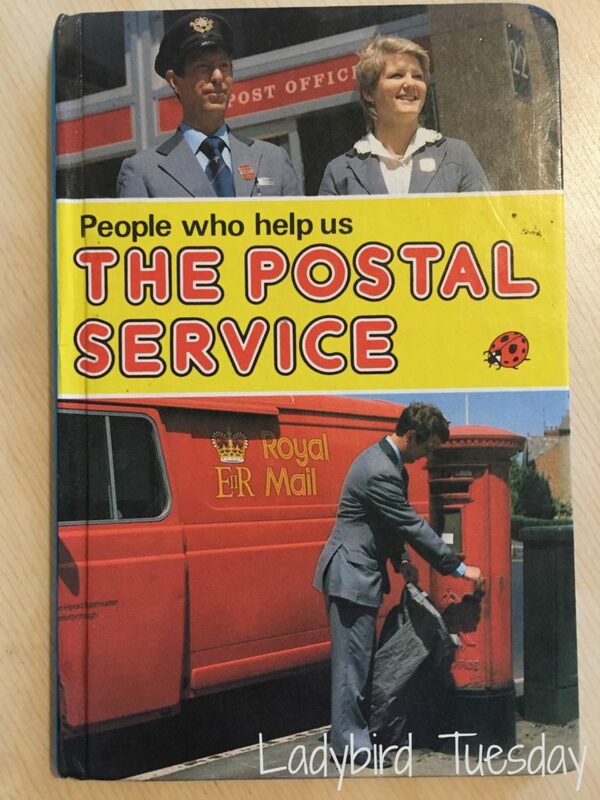 As well as the familiar livery on vans and the uniform that I remember then postmen and women wearing, there are others reminders of times gone by with the inclusion of some of the counter services that the Post Office used to provide and forms I remember from childhood. 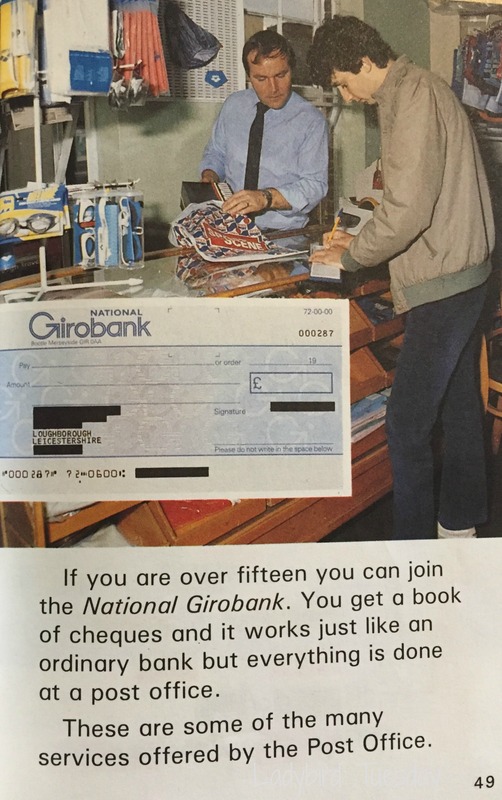 It is years since I’ve seen postal orders, pension books and Girobank cheques, yet they all still seem so familiar. I’m desperately trying to rack my brains and remember if I saw a copy of this book at the Postal Museum. I think I might have done, but can’t be 100% sure. Whether I did or not, it is a lovely reminder of our trip to the museum, and a wonderful step back in time to my childhood too. Thanks again for a very good writing about Ladybird books. I always read your blog about the books. Glossy covers? I think that you meant dust jackets? I didn’t know Ladybird books late series has been published in glossy covers.